When you have a mental illness, you know all too well what your daily struggles are. If you are on medicine, they may help, but come with side effects. If medicine alone does not help, then you most likely need to see a therapist. If therapy and medicine don’t work, you could end up in the hospital if your symptoms get the best of you. You often possibly lose friends and sometimes your family members because of your illness. However, even if you have a mental illness, there are things you can do this month to help you stay as mentally health as possible. There are also things you can do to use Mental Health Month to help raise awareness and start to erase the stigma. I will address the awareness and stigma aspect. If you have already let others know that you have a mental illness then post on your social media site that it is Mental Health Month and offer some suggestions of what others can do to spread the word and some of your own ideas of how to stay mentally healthy. If you have not let others know you have a mental illness, you can still spread the word that it is Mental Health Month and share some articles regarding how to stay healthy. People don’t even have to know that you have a mental illness. Start a Pinterest board entitled Health, Fitness, and Nutrition and then post articles on Staying healthy mentally too. Retweet someone else’s mention of Mental Health Month or an article about it being mental health month. Post an article on Facebook about how to stay mentally healthy and the importance of it. If you are an advocate for people with mental illnesses, this is a great opportunity to spread the word about how Mental Health is important for everyone and that 1 in 4 people will be affected by a mental illness in their life times. Here are some suggestions of how to let others know about mental illness. Join a NAMI group near you. Write to a Politician about how you feel about stigma, etc. Thank a Person with Influence who has shared they or a loved one has a mental illness. Start Following someone on Facebook, Twitter, Pinterest, etc. who shares things on their mental illness. There are so many out there just search for them. 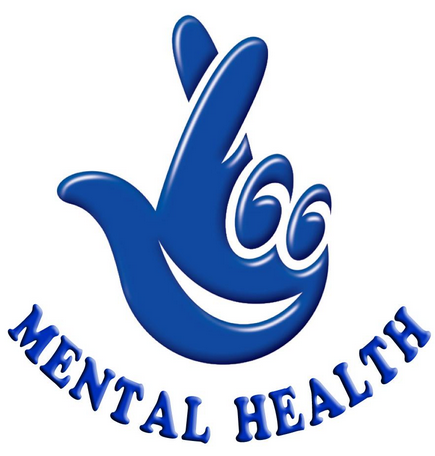 This entry was posted in Uncategorized and tagged bipolar disorder, catherine zeta-jones, erase stigma, famous people with bipolar disorder, famous people with mental illnesses, mental health, mental health america, mental health month, mental illness, Mental Illness Awareness, nami, Royce White, Stand Up For Mental Health Campaign. Bookmark the permalink. Thanks for your very encouraging words.